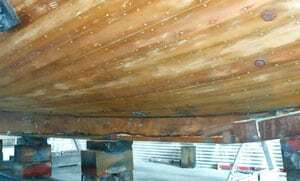 Soda Blasting is a quick and cost effective antifoul removal and hull preparation solution. Unlike traditional power washing, sanding and chemical treatments, it is 100% environmentally friendly and effectively removes the bilge-oil film, paint, varnishes and blisters from timber and fibreglass boats in a fraction of the time and with minimal preparation and clean-up required compared with traditional methods. Marine anti-fouling is an essential way to prolong your boat’s life and ensure it does not deteriorate over time – but it is vital to preserve the marine anti-fouling solution and, when it loses its effectiveness, remove the materials entirely before adding a new coat. 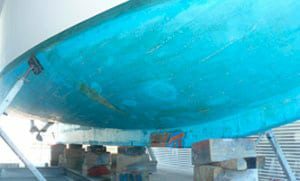 Our Abrasive Blasting method provides an effective and safe way to remove old layers of boat anti-fouling, to provide a pristine surface for the new protective layer. Whether you are looking to clean your boat of the anti-foul solution or your car or truck of paint and grime, our Abrasive Blasting methods are effective and efficient. Completely mobile – we come to you! This process prolongs your boat’s life effectively. Next time you are ready to introduce a new coat of the protective solution, contact our friendly team and we will discuss an in-depth breakdown of the cost.